Dr Rafael Pizarro, Sustainable Urbanism New Directions Workshop, 21 March 2016, University of Qatar, © University of Qatar. 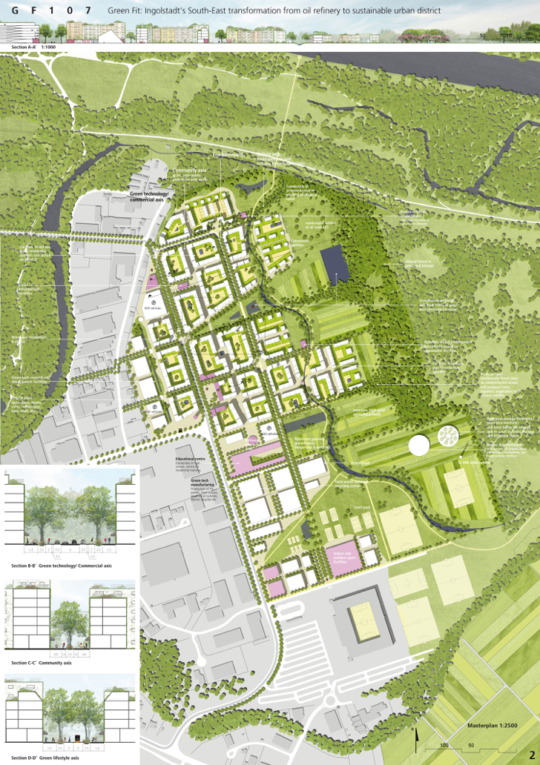 What is known and of value in sustainable urbanism is derived both from academic texts and real-world projects, encompassing the newest areas of research. What is yet to be investigated to full advantage in application, argues Dr. Rafael Pizarro, is state-of-the-art knowledge of sustainable urbanism including advances in sustainable urban forms, green transportation, land use, urban design, open space design, density and pedestrianism. “Merging sustainable infrastructure systems for energy, water, food, and waste in a fare should be at the forefront of urban design research in Arab countries”. Barahat. © Rafael Pizarro & Abu Dhabi Planning Council. Although sustainable infrastructure systems for energy and food production, wastewater recycling, and for organic waste reuse are also essential aspects of sustainable urbanism, the spatial and urban design implications of introducing such systems in cities are not yet fully explored. From Dr Rafael Pizarro’s presentation, Sustainable Urbanism New Directions Workshop, 21 March 2016, University of Qatar, © University of Qatar. Within this area, the least explored aspect of sustainable urbanism is the socio-cultural implications of introducing sustainable infrastructure systems in neighbourhoods, especially when the urban form and design of the neighbourhood is highly related to the socio-cultural mores of the society inhabiting it. 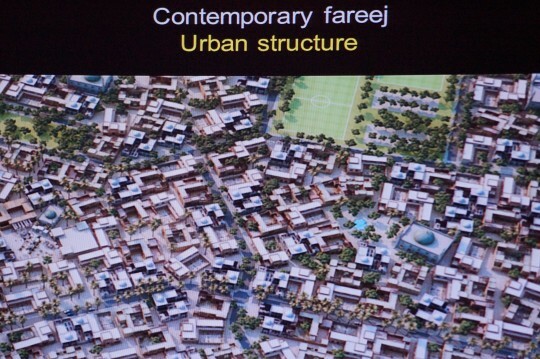 In the case of traditional Arab-Islamic neighbourhoods, merging sustainable infrastructure systems for energy, water, food, and waste in a fareej should be at the forefront of urban design research in Arab countries. Consequently there is a very strong case for developing a theoretical prototype model for an eco-fareej. Dr. Rafael E. Pizarro (B.Arch., MEP, PhD) is Associate Professor in the Department of Architecture at the American University of Sharjah (UAE) and Director of the Master of Urban Planning. Dr. Pizarro has previously taught full-time at the Technical University of Berlin (Germany), at the University of Sydney (Australia), and part-time at the University of Southern California (USA) and at Universidad Javeriana in his native Colombia. He has also been a professional planner for the City of Phoenix (Arizona) and an architect in Bogotá. His research focuses on sustainable cities, exploring the concept of ‘place-based ecological urbanism’ towards producing a prototype eco-fareej (a traditional green neighbourhood in the UAE). He is the author or co-author of more than 30 peer reviewed journal articles and book chapters and has co-edited Dialogues in Urban Planning: Towards Sustainable Regions (Sydney University Press, 2008).